Badge Stock & Insert – SOLD! Coffee Mugs (Stainless Steel) – SOLD! Continental Breakfast for General Sessions – SOLD! General Session – Wednesday Morning – SOLD! Opening General Session – SOLD! Registration Area and Attendee Lounge – SOLD! Satellite Executive of the Year Luncheon – SOLD! 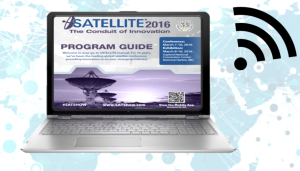 SATELLITE On-Site Program Guide – SOLD! Welcome Bags & Inserts – SOLD! Interested in sponsoring at SATELLITE 2017? 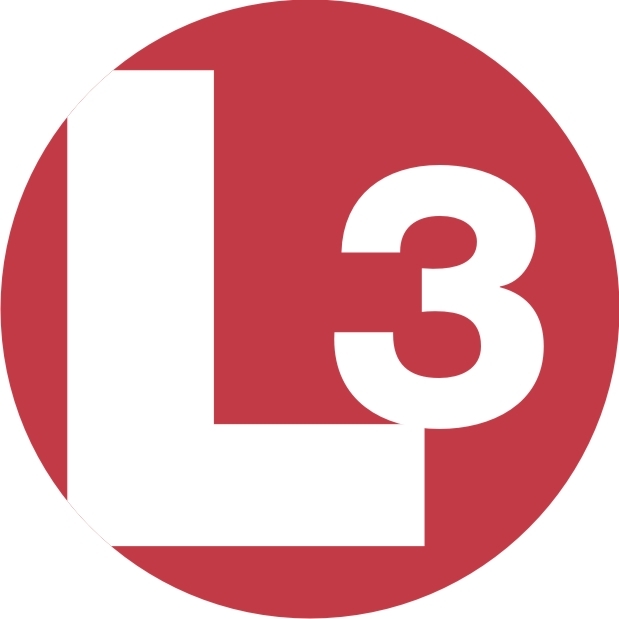 By sponsoring the hanging numbered aisle signs in the exhibit hall, your company logo, booth number and design will be prominently displayed where it simply cannot be missed! 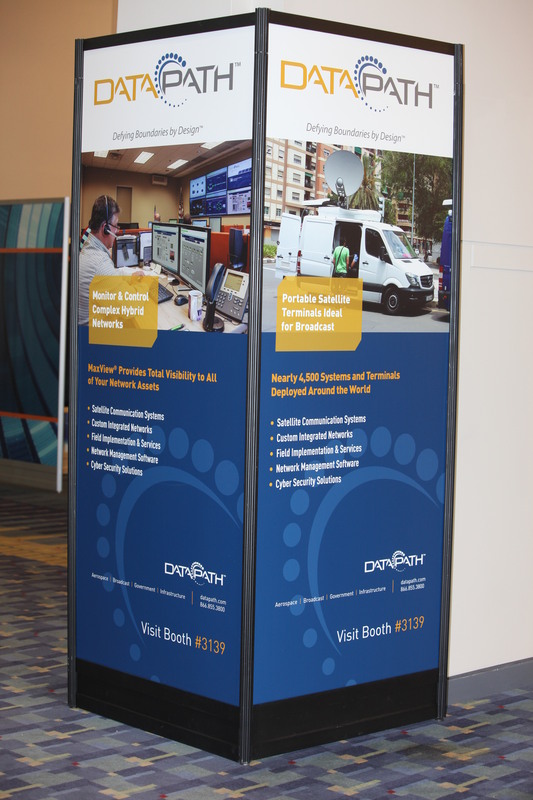 Featured on all overhead aisle signs, your message will reinforce your brand and drive traffic to your booth as attendees navigate the exhibit hall – guaranteed impressions and can’t miss branding to thousands of attendees! The Attendee Lounge is located right on the Show Floor, and is guaranteed to be filled with appreciative attendees throughout the duration of the event. Call today for pricing and options for this new and improved sponsorship opportunity! As the sponsor of the Audience Response System (a.k.a. Session Polling), your company will receive unique branding and recognition in all conference sessions in which ARS is used to promote audience involvement and gain insight from attendees. The ARS sponsor is promoted as such pre-event and will be recognized as the exclusive ARS sponsor on power point slides, walk-in slides thanking your company for sponsoring the ARS and on the question & answer slides. Questions specific to the sponsoring company will be used as “warm-up” questions to get attendees acclimated to using the ARS system – the perfect way to highlight your company to an audience of attendees specifically interested in your products, services & solutions! The nightly reception on Wednesday, March 8 will honor the Satellite Executive of the Year as well as winners of Via Satellite’s Excellence Awards, a program that recognizes and honors satellite industry leaders in various categories as voted on by the editorial staff of Via Satellite. 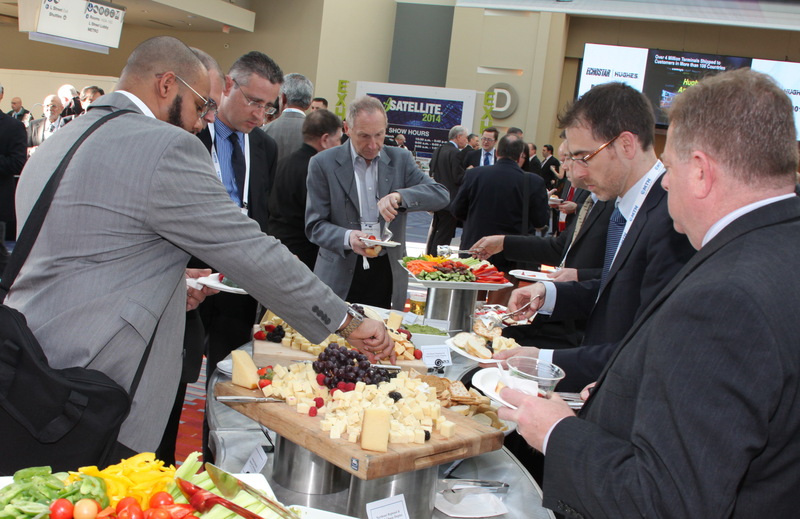 Reception sponsors will now be able to make an impression on attendees of both events AND the Excellence Awards winners – a huge value-added opportunity to connect with the movers and shakers in the satellite community. Don’t miss your chance to capitalize on this one-of-a-kind gathering as the entire satellite community comes together to celebrate excellence and honor the award winners. Contact Michael Cassinelli today to discuss your Awards Celebration and Reception sponsorship package today! Every SATELLITE 2017 attendee and exhibitor is required to wear a name badge throughout all conference sessions and the Exhibit Hall. Insert your company message into the badge holder with a double-sided, full-color insert distributed onsite with all registrant’s badges! Inserts can be used as a raffle ticket redeemable at your booth, an informational sheet on a new product or service launch or any other marketing/promotional message. Your company logo will also appear on the badge stock along with each registrant’s name and company information – the perfect tools to boost brand awareness AND drive traffic to your booth at the event! 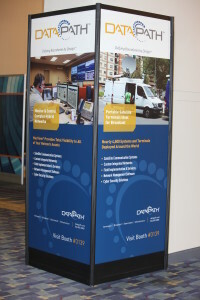 A variety of banner and signage options are available throughout the Walter E. Washington Convention Center. A complete menu of options including details and pricing is available online. 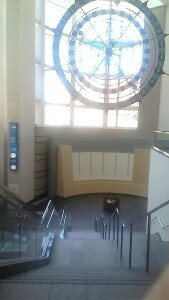 The Central Rotunda is a main artery and natural gathering place for attendees headed to and from the Exhibit Hall, conference sessions and social & networking functions at SATELLITE. Situated at the base of the stairs and escalators leading down to the exhibit entrance, the rotunda area is prime space for you to extend your brand beyond the Exhibit Hall and ensure that your company is seen and noticed as more than 14, 000 attendees navigate and congregate during the four most important days of the year for satellite communications professionals. The possibilities for the Rotunda are endless – consider a media wall with video and your social network feeds displayed throughout, or a dedicated area to greet attendees, make connections and drive more qualified traffic to your booth and team on the show floor. If you can dream it, we can make it happen! Contact us today to discuss your ideal package in this high-profile, high-visibility area of the convention center. With almost all attendees using their phones, tablets and mobile devices throughout the event, a custom-branded charging station positioned in a high-traffic area of the convention center is an ideal way to garner impressions and appreciation from attendees while enhancing your brand and message. 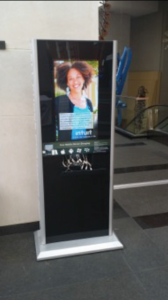 Locations for charging stations are available on a first-come/first-served basis – call today for details on style, branding and location options! Ensure that your brand and message resonates year-round by sponsoring the stainless steel coffee mugs distributed to event attendees in the registration area (quantity of 2, 500 mugs). This is one giveaway that doesn’t get thrown away! Branded mugs are a great way to highlight your company logo, brand, and message to high-level SATELLITE attendees during the show AND post-event. You cannot be missed with this outstanding sponsorship! Get the highest visibility right outside the Exhibit Hall and near the registration area by including your branding and targeted message right on the columns located in high-traffic areas of the Convention Center. View available positions online here. Notepads will be placed on every participant’s seat at the opening general session for use during and after the meeting. Your company logo will appear on more than 1, 500 notepads and will be a “take-home” must! Your mom was right….breakfast IS the most important meal of the day! Help attendees get their eyes open and their bodies going by providing coffee, pastries, and other delicious food and beverages. 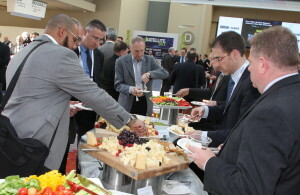 Set in a high-traffic gathering area that leads to the General Session, these sponsored breakfasts offer terrific visibility and generate plenty of recognition and appreciation from attendees. This amazing sponsorship will include a company banner, branded signage, and two (2) SATELLITE Conference registrations for your team. For pre and/or post-show access to registered SATELLITE attendees, a dedicated email blast on your company’s behalf is a simple yet effective way to reach attendees with your message. An email blast or series of emails can be used to promote your presence at the show pre-event and drive traffic to your booth while highlighting a product/service launch or promoting an in-booth giveaway. The content of your email blast is completely up to you – you write the copy and we’ll deploy it based on your schedule and provide you with campaign results. Whether you opt to hit the entire registration database with you message or drill down to a single, specialized category of registrants, this is the perfect way to directly target attendees with your brand and message! No more worrying about losing the printed Program Guide! Attendees can now download the official SATELLITE Program Guide electronically by taking a picture of a QR Code with their mobile device. The e-Program guide will also be pushed out to all registrants in a dedicated email. The e-Program Guide will enable attendees to easily access all event information, including exhibitor profiles, year-round online! Branding opportunities include customized, rich-media ads in the guide, ad positions in the email message promoting the guide and on the on-site the meter board displaying the QR Code. A trail of sponsor-branded footprints affixed to the show floor will lead attendees from the main exhibit hall entrance directly to your booth! This is the perfect way to highlight your brand outside of your booth while literally directing attendee traffic to your sales team. Simple yet powerful, the footprints are always a hit with attendees and consistently help the sponsor stand out amongst 350+ exhibitors on the show floor. NEW for 2017! By sponsoring the Wednesday Morning General Session – the largest session of the day, and open to all registrants, you’re putting your brand in front of hundreds of attendees gathering to kick off the day and discuss some of the most timely issues, challenges, and solutions facing our industry. Sponsors receive branding in the session room, printed Program Guide, mobile app, event website, and will be featured on on-site signage thanking and recognizing our sponsors and supporters. The materials of the sponsor’s choice are distributed to all attendees in the session room – the perfect way to drive more traffic to your booth and raise awareness and interest in your latest offerings. Price: Call for pricing and locations! With this stand-out signage option, your company logo will be projected in a high-traffic area of the convention center, visible to all attendee traffic traveling throughout the facility to and from the exhibit hall, conference sessions and meeting rooms! This is an eye-catching, unique way to make an impression on thousands of attendees throughout the duration of the event! Call Michael Cassinelli today at +1-301-354-1691 or mcassinelli@accesintel.com for details, pricing and size/spec info! Here’s your chance to get attention from attendees away from the crowds! This sponsorship is an efficient and effective way to reinforce your message, drive traffic to your booth, deliver product information and trigger a response! Your marketing materials and/or giveaways can be placed on the door handle, outside the door, or inside each room of conference attendees at our host hotels. Please call Michael Cassinelli at +1-301-354-1691 to creatively customize and deliver your marketing message to hotel guests during their stay at SATELLITE 2017 partner hotels. Every SATELLITE 2017 registrant is required to wear a name badge throughout the conference sessions and the Exhibit Hall, and lanyards are a great way to enhance your brand and increase your corporate visibility! 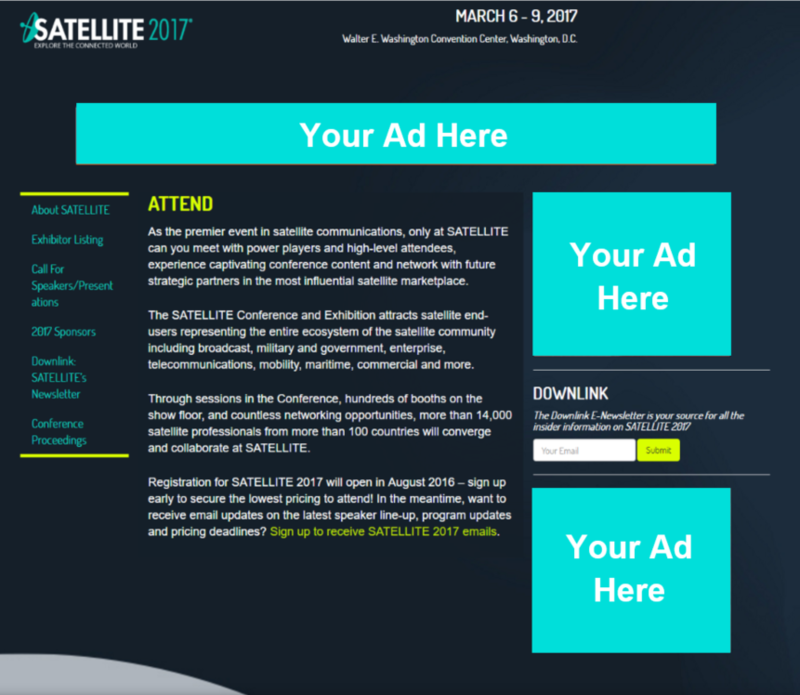 This is an excellent opportunity to ensure that your company’s name will be in front of literally every SATELLITE 2017 attendee and exhibitor. 14, 000 lanyards are distributed on-site to all registrants and worn throughout the event! The video content and social media feeds of the sponsor will be displayed on a giant 90” plasma monitor located in the convention center, situated in a prime location visible to thousands of attendees entering and exiting the exhibit hall and traveling to and from conference sessions. The exclusive sponsor also receives branding on the structure itself, with the entire media & news center surrounded by custom furnishings and carpeting to match the sponsor’s core creative design. The content and social media feeds of the sponsor will be displayed for all four event days, positioning the sponsor as a leader via the latest multimedia & social media platforms. Build brand visibility through SATShow.com, the official web site of SATELLITE – the one-stop shop for show information for thousands of attendees and exhibitors. Several ad sizes and locations are available – call Michael Cassinelli today at +1-301-354-1691 for details, pricing and package options! The sponsor of the Opening General Session at SATELLITE 2017 has the unique opportunity to brand themselves pre-, during and post-event as a market leader in the satellite-enabled communications marketplace via the largest and highest-attended session at the show. 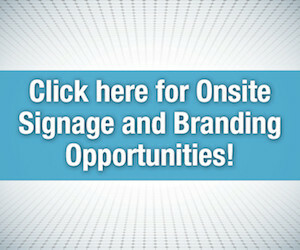 Branding begins six months out from the show and continues through the duration of the event with a triple-play of electronic/multimedia, print and on-site signage. This comprehensive package is designed to set your company apart from the crowd! Imagine every conference attendee carrying your logo – from the moment they check in at registration, and months after the show! Upon registration, each SATELLITE Conference attendee will receive a beautiful portfolio bag to carry important materials throughout the conference and exhibition. Your logo will appear along with the SATELLITE show logo. You can also include the materials of your choice to be placed in the bag – great on-site and post-show exposure! 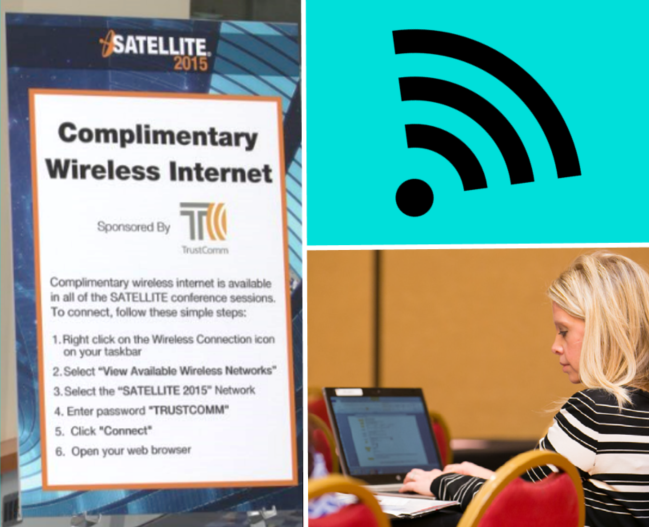 Your company will be first in line at SATELLITE 2017! 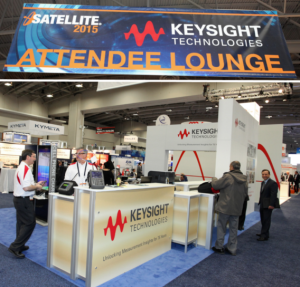 As every attendee registers and relaxes in the registration area and plush attendee lounge, they will see your company’s logo on registration kick panels, screen savers on registration terminals, on a banner as well as a plasma screen, providing your business a place to advertise your latest products and services to all SATELLITE 2017 registrants. All badges are picked up at the registration area, providing guaranteed visibility for your company! 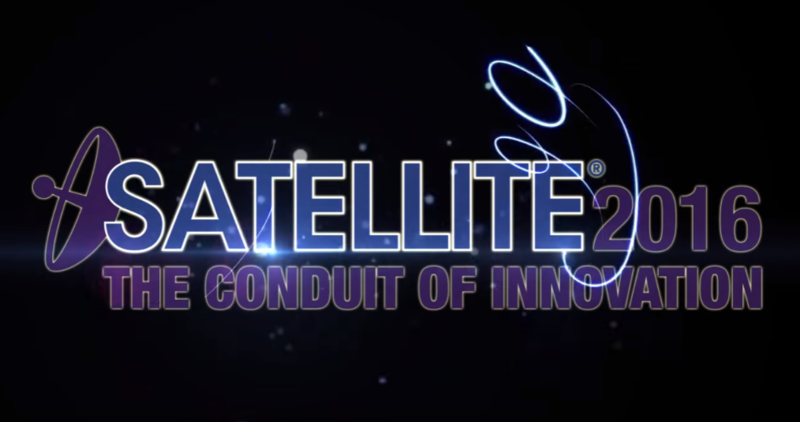 What better way to announce your prominence in the satellite community than hosting the prestigious Via Satellite’s Satellite Executive of the Year 2016 Awards Luncheon, presented at SATELLITE 2017. Your company will have the opportunity to address those in attendance, display your company logo and highlight your company’s achievements, all while the satellite industry honors this year’s winner. Contact Michael Cassinelli today at +1-301-354-1691 or mcassinelli@accessintel.com for additional details of this truly unique opportunity, including an enhanced version of the On-Site Program Guide featuring your company’s branding and messaging on a “belly-band” wrap on all 14, 000+ printed guides! The hottest topics and challenges involving communications via satellite will be discussed and debated by end-users and industry experts throughout the SATELLITE 2017 Conference. If your company provides a solution to one or more of these challenges, sponsoring a relevant conference session is simply the best way to hit your target market and buyers of your product category. The ALL-NEW SATELLITE Synergy program can provide your team with pre-qualified sales leads and on-site meetings with qualified prospects. This package helps identify and target potential customers in the SATELLITE prospect universe who actively purchase the products and services you sell, and sets on-site appointments for your sales team with interested prospects. 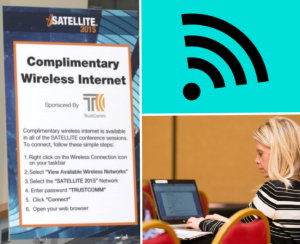 While SATELLITE takes place only once per year, this is a powerful way to set up a targeted campaign throughout the year, or during the lead-up to the show, that will funnel prospects directly to your team, schedule on-site meetings with these prospects and share contact data of interested prospects with you. This is a powerful, new tool you won’t want to miss out on! Our universe of prospects is vast, and this is THE best way to ensure your company has the quantity and quality of meetings on-site to turn SATELLITE into the biggest lead-generation opportunity of the year for your company. Due to individual face to face appointments, only a limited number of SATELLITE Synergy packages are available. By sponsoring the Speaker and Press Room, your message and brand will be directly in front of two of the most powerful and influential groups of attendees – speakers and press! The Speaker and Press Room at SATELLITE 2017 will once again be the hub of activity for 100+ members of the press AND 350+ speakers as they prepare to cover the event for their respective media outlets and lead lively conference discussions throughout the duration of the event. Sponsorship includes in-room signage, a reference for your company in all press communications, your company logo linked to the SATELLITE 2017 Online Press Room and a dedicated table to feature your literature, press releases, and giveaways! 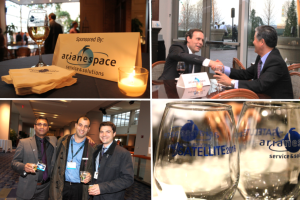 As the exclusive sponsor of the SATELLITE 2017 highlights reel video, your company logo will be featured on all three (3) pre-show videos AND the event highlight reel, the official wrap-up video of SATELLITE! Videos will be posted to the event web site and SATELLITE YouTube channel, as well as distributed via email and social media. 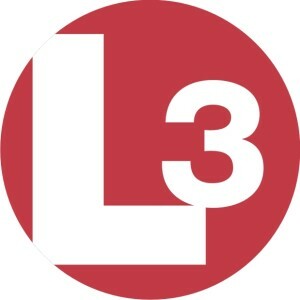 In addition, our professional video crew will come to your booth during the show and create a demo video with your team highlighting your latest product/service offerings, with the final, edited footage featured on the SATELLITE YouTube channel. Best of all, you’ll own the video footage – a great promotional and branding tool you can use year-round while co-branding your company with SATELLITE. Additionally, the footage from your booth and testimonial from your company representative will be featured in the SATELLITE 2017 highlight reel! By sponsoring the SATELLITE welcome bags/inserts, your company’s brand and message will be seen by thousands of attendees as they pick up and use these branded bags to carry personal items and show materials throughout the event. A quantity of 2, 500 bags will be printed with your company’s artwork and stuffed with the literature of your choice – an ideal tool to share new product/service info with attendees and drive traffic to your booth, all while blanketing the show with your company’s brand and message. 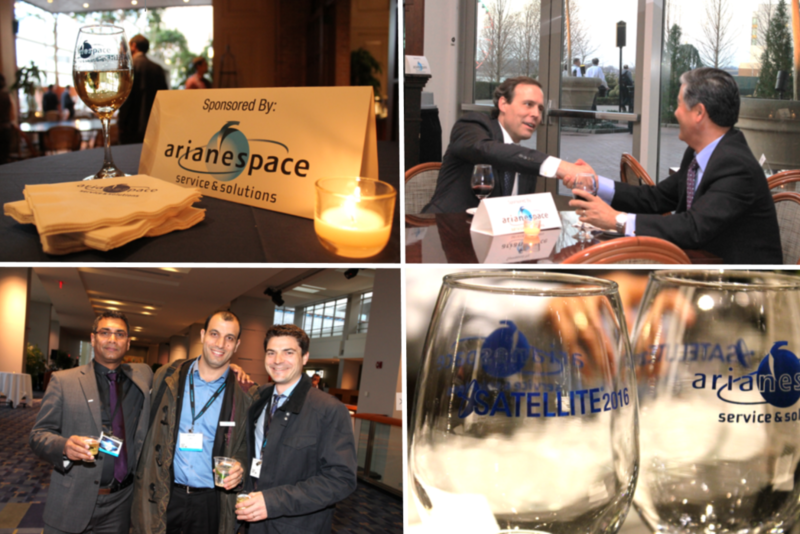 The Welcome Reception officially kicks off the event on Monday evening and with 1, 000+ registrants in attendance, this is the perfect way to start your company’s SATELLITE 2017 experience off with a bang while garnering lots of goodwill and exposure for your company. Contact Michael Cassinelli today at +1 (301) 354-1691 or mcassinelli@accessintel.com while sponsorship of the Welcome Reception is still available!